The date is set for the Responsible Tourism in Cities Conference in Durban, South Africa: the morning of May 6, as part of the Indaba tourism conference. The event is presented by The City of Cape Town in partnership with Cape Town Tourism and South African Tourism. Media partners include Planeta.com, the website I founded in 1994. I’m looking forward to the opportunity to cross the Atlantic! There’s so much to learn when comparing more than two countries. While in South Africa, I hope to arrange a Photosafari or two along the lines of the events we’ve conducted in Llano Park in Oaxaca. Space is available for 100 delegates at the conference venue and any number of virtual delegates via livestreaming video and Twitter. 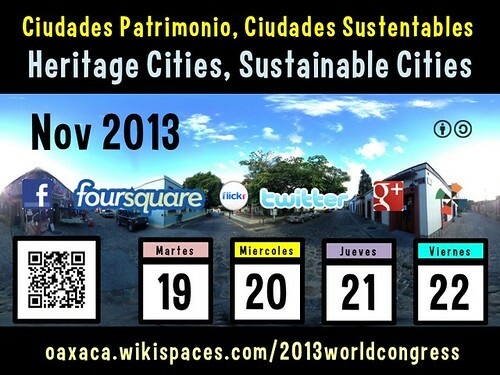 We already have a few participants registered from Mexico! Register to participate here. The Responsible Tourism in Cities Conference seeks to bring together leaders in local government, sustainable tourism and social media, focusing on a practical set of issues – conservation and tourism in cities. 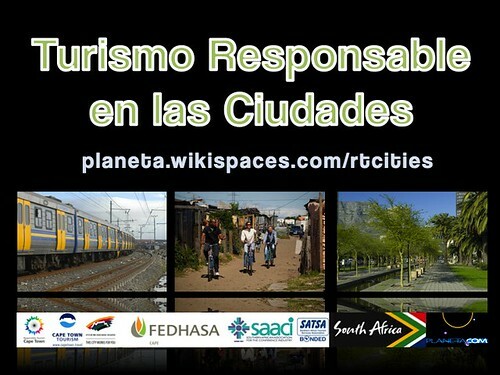 It will help city officials, community organizations, the private sector, academics, NGOs, activists and other stakeholders understand some of the key issues underlying responsible tourism in cities, and will equip them with practical knowledge and resources to help make a positive contribution toward implementing responsible tourism in their city destination. Please let me know what you think Mexico could teach the world about responsible travel. If there is interest, we’ll conduct similar events in Mexico.